There’s the common knowledge of if weight loss is a goal, the best thing to do is avoid going down the aisles at all cost. Not only because that’s where you find all the delicious cookies you should be avoiding, but because your key food groups are satisfied around the perimeter of the store. Think about it. When was the last time you saw fresh milk or meat in the middle of an aisle? With that said, packaged food gets a bad rap sometimes. Surprise! Not all of them are bad. In fact, you might be surprised to learn that some of your favorite things make this healthy list of foods to snag while you’re shopping. 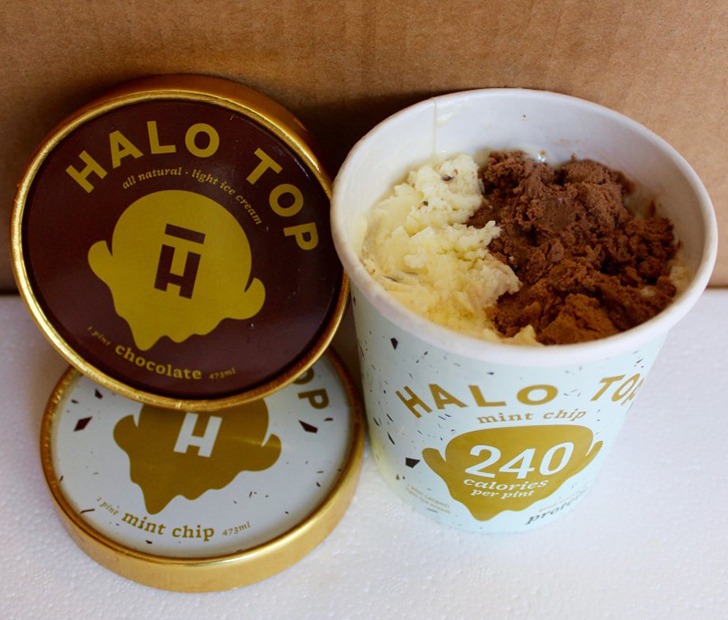 If you’re the kind of person to catch a craving midday or even late night, Halo Top is perfect for guilt-free ice cream. The pint is packed full of protein, fiber, and ingredients that even a child can pronounce. Best of all, if you for some reason eat the entire pint, the most calories you would have consumed would be 360. Not bad considering that’s the equivalent of four Reese’s cups. If you prefer a sugar-free, gluten-free, low fat and high protein breakfast in the form of waffles then find your nearest boutiques fitness studio and look for Viking Waffles. The waffles are made without fillers and flavored with protein powders and stevia. When you’re thinking up the master recipe for the most delicious brownie or blondie, chickpeas don’t come to mind. Understandable. It’s definitely worth noting the Rule Breaker has mastered the art of sneaking the beans into tasty snacks that are packed with protein, fiber and folate. If you’re not convinced yet, those chickpeas also aid in weight loss. Are you going to keep your eyes peeled for these healthy treats? Let us know in the comments and share with your friends on Facebook! Next ArticleAre Mental Excercises Like Coloring and Sudoku Really Keeping Your Brain Healthy? A New Twist On Your Old Favorites: What Foods Have You Been Eating Wrong?